I’m going to try an explain why this issue is important to me because people don’t seem to get it. Imagine my social media is like having a gallery. I have my art in the window to show people what’s inside. The gallery is free entry but once inside people can see more of my work and spend money in the gift shop if they wish. Bob owns a gallery in a different part of town. When visiting my gallery he sees something he likes and takes a photo. Bob then goes back to his gallery, prints out my artwork and puts it up in the window. Now people are seeing my art in his window and are going into his gallery and are spending money in his gift shop. Customers don’t know it’s my art, they don’t really put much thought into who made the picture in the window display. No customers at Bob’s gallery know I have a gallery down the road with a shop that I earn a living from. Bob doesn’t care, he’s got more people into his gallery, that’s all he wanted. Someone points out to Bob that the artwork isn’t his so he puts a tiny sign underneath it saying ‘Art by Beth’. Most people don’t even notice it, even fewer make the effort to find out more. Even if Bob were to provide taxis to my gallery, most people wouldn’t bother. People have seen the art already, they’re not going to go down the road to look at the same art again. Meanwhile. I’m sitting in my gallery, not even knowing that Bob is profiting from my work. 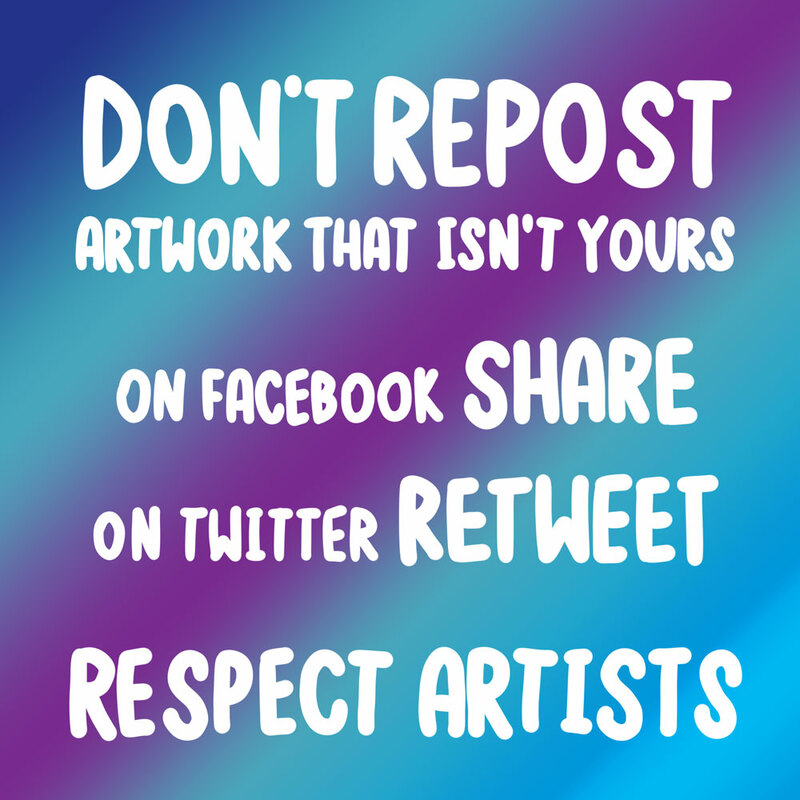 When you repost my art, you are using my work to get likes and shares on *your* social media. Don’t save artwork and upload it.